KDM Design and Marketing, Inc., Bradenton Florida’s (FL) Website design experts. We specialize in Web design for Bradenton’s small business community. With our years of experience we are able to provide a solution to small businesses that will give you a Website platform that can grow with your comapny. All of our Websites feature a responsive framework which provides a design that will make your Website viewable on all major devices including the Apple IPhone and IPad, Android OS and other Smart Phone devices. STOP advertising in the phone book! With a properly set up and functioning Website you can reach your customer base online at any time. And since your site is responsive that means your customers can reach you no matter where they are. 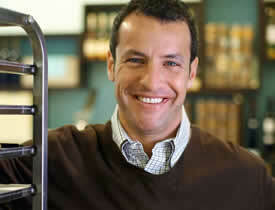 At KDM we understand the workings of a small business because we are a small business too. We understand and respect the fact that most small businesses are on a limited budget so we make certain that your Website project is handled correctly from the start, making certain the final product is exactly what you expect. We also understand that your Website is a profit center so you will not have to wait 6 months or more for your site. We can finish most small business Websites within 30 business days or less. Google loves our Websites. Why? Because we design web sites that are engineered to be Search Engine Friendly. The experts at KDM have over 10 years of SEO experience. We install Google friendly plug-ins into every Website we create giving your website a competitive advantage in the highly competitive SEO market. We install and configure all of the following items on all of our new Websites. We also create and configure new Google accounts for clients that do not yet have Google accounts or we can configure an existing Google account. One of the great features of any Website is that you are able to add new content to your website in-house. This eliminates the need to hire a full time webmaster. KDM can train key employees in your company on how to perform daily tasks on your new Website. I heard Websites are vulnerable to hackers. Will my new Website be safe? While we cannot ensure your site never gets hacked we do take serious steps to prevent that from ever happening. We do this by installing the a Security Firewall on every Website we produce not matter how big or how small. We also make sure your site is on a reputable hosting company not some company that is a 3rd party reselling hosting from a larger hosting company. Can I play videos and music on my new Website? Your new Website will be able to play any of the standard media file types that are in use today. It also can embed your YouTube or Vimeo videos as well as MP3s. Will my new Website look unique? KDM creates Custom Website. We are able to create compelling Custom designs using HTML 5 and CSS3. 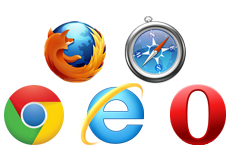 All of our Websites are compatible with the most popular browsers including IE 9 & 10, Firefox, Safari and more. We make sure all of our clients’ sites are as unique as their businesses. Our layout possibilities are endless. How much does a new Custom Website Cost? KDM has a Small Business Starter Website Package that is available for all new website builds. This package has been put together by KDM’s owner, Peter Konstantakos, and was designed specifically to help small businesses get a new Website that can help them get started on a platform that can grow with their needs.